By buying this product you can collect up to 15 loyalty points. Your cart will total 15 points that can be converted into a voucher of Rs. 1.50. An ancient remedy for neuro – muscular disorders associated with CNS & PNS. Improves metabolic processes in CNS & PNS, activates neuro- muscular communication. 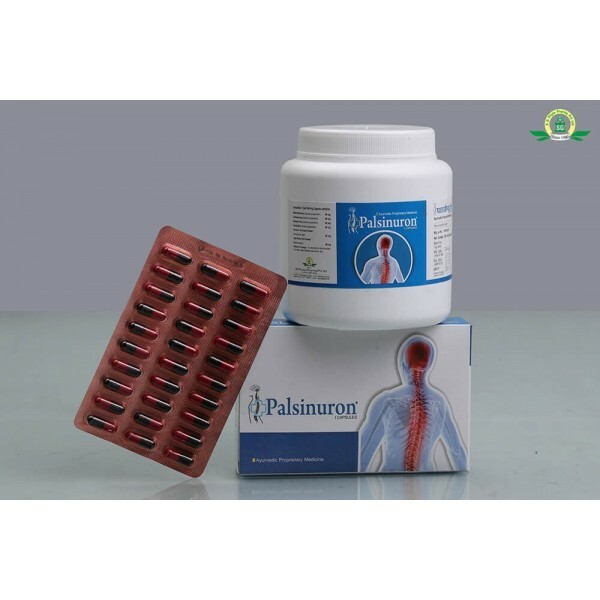 Regulates blood supply in affected areas, overcomes anoxia, stimulates cerebro-neural activity. Promotes healing of damaged nerves & blood vessels, Recanalises blood vessels. Provides nutrition support to nervers & bloos vessels. Mahavatvidhwans : Improves metabolism of CNS & PNS, co-ordinates neuro muscular activity. Sameerpannag : Improves tissue oxidation, overcomes anoxia, noramalizes neuro-muscular metabolism. Ekangveer ras : Promotes healing of damaged nervers & blood vessels. recanalise blood vessels, activate sensory & motor functions. Sootshekhar : Provides nutritional support for faster healing of damaged organells. Lajari : Regenerative effect on neuro-lesions. Khurasani Owa : Checks neuro-irritation. Neuro-muscular disorders of CNS & PNS, Hemiplegia, General Paralysis, Facial Palsy, Hand Shoulder syndrome, Convulsions, Whole Body Stiffness, Neurasthenia, Sciatica, Neuralgia, Cramps in calf, Myalgia & other Neuro-Muscular Problems. Pregnancy,Lactation, Hypersensitivity to any ingredient, Renal failure, liver cirrhosis. Ekangveer Ras (Generic Preparation) 60mg. Khurasani Owa (Hyoscyamus niger) 60mg. 1 Capsule 2-3 times daily. Sublingual administration with honey produces quicker absorption.